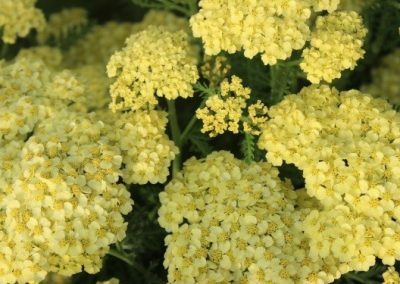 Achillea belongs to the family Asteraceae or Compositae. 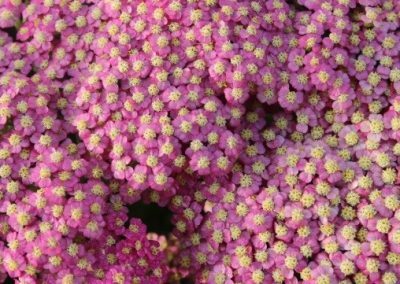 About 115 species are known, mainly native to the northern temperate zone. 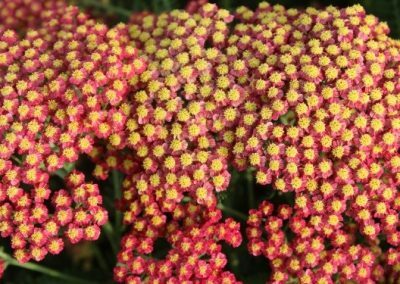 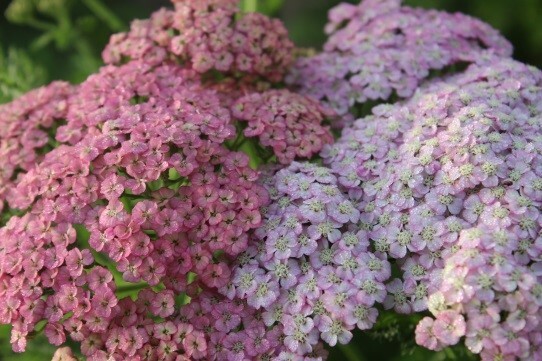 The most important genus is Achillea millefolium , available in a wide range of colours. They have toothed, often finely cut, sometimes aromatic leaves. 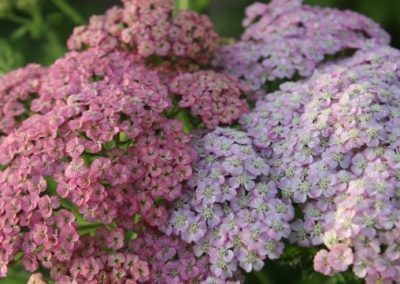 Millefolium derives from the Latin word mille and folium and means: ‘thousand-leaved’ in reference to the foliage. 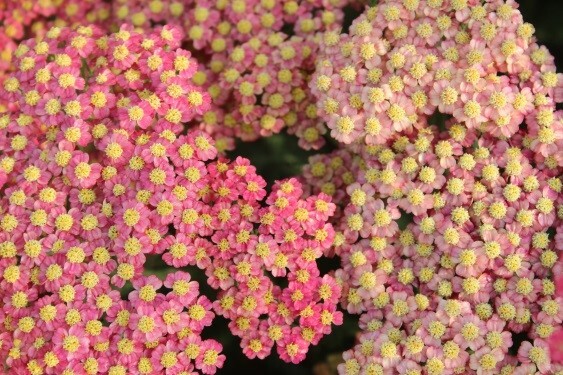 The common name ‘yarrow’ symbolizes war. 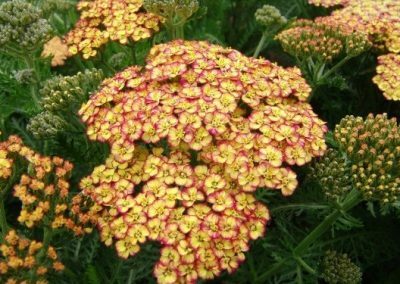 Achillea is a hardy perennial, native to Europe and Western Asia. 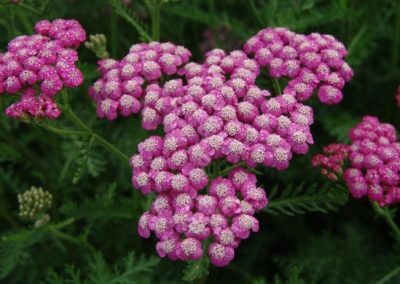 The botanical name, ‘achillea’ comes from the Greek hero Achilles name. 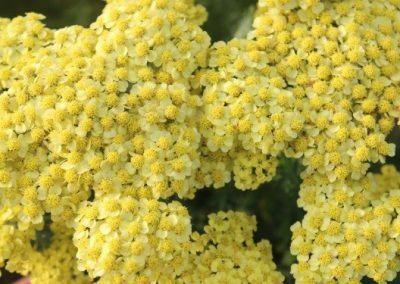 When Achilles was born, his mother was said to have held him by his heel and dipped him in a bath of yarrow-infused water to protect him. 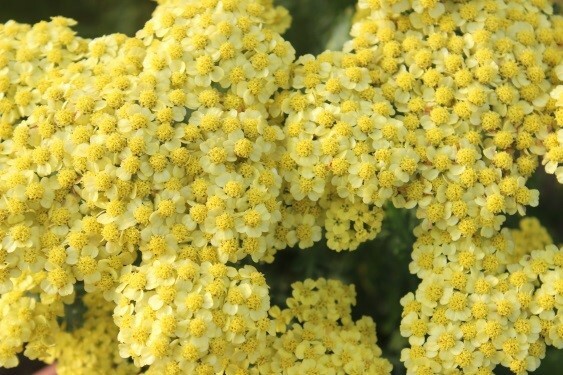 His vulnerable heel, the one she held him by, was where he was eventually mortally wounded. 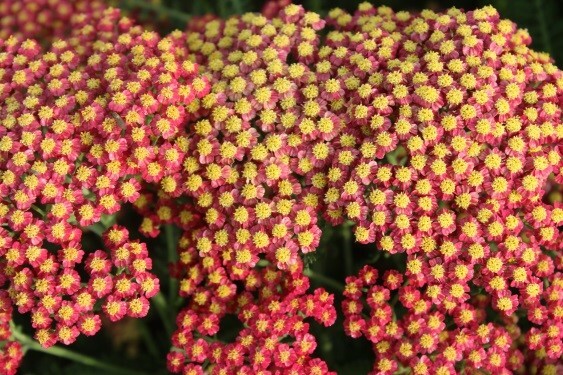 During the Trojan wars, Achilles was also said to have staunched the bleeding of his soldiers with ‘yarrow’. 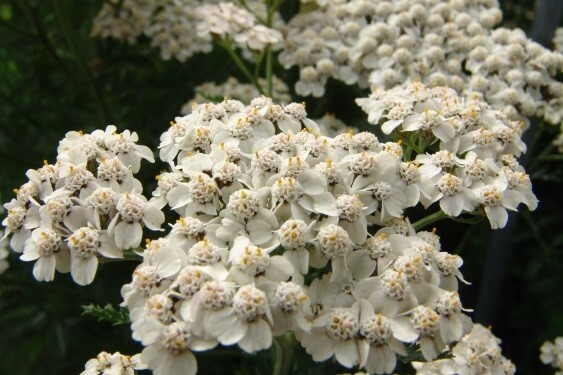 Achillea millefolium is widely used as a medicine in homeopathy. ‘Yarrow’ was a favourite wound herb of the Anglo-Saxons. 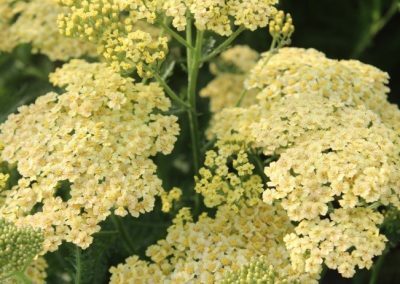 They also employed it to heal burns and bites of poisonous snakes and insects. 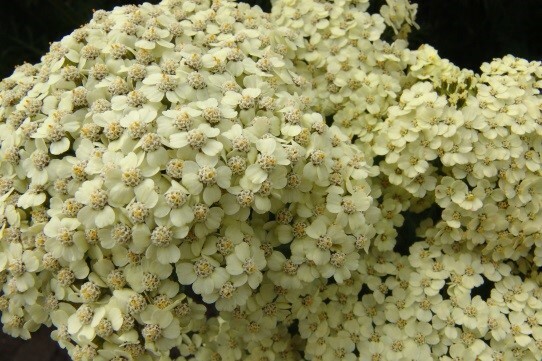 The fresh leaves were chewed to relieve toothache. 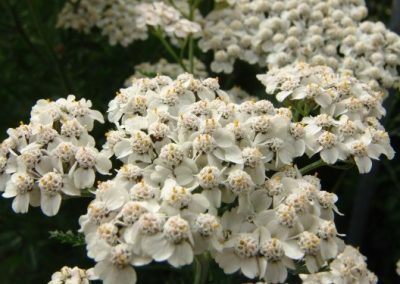 The British Herbal Pharmacopoeia(1971 edition) lists ‘Yarrow’ as an “antipyretic, diaphoretic….astringent and diuretic. 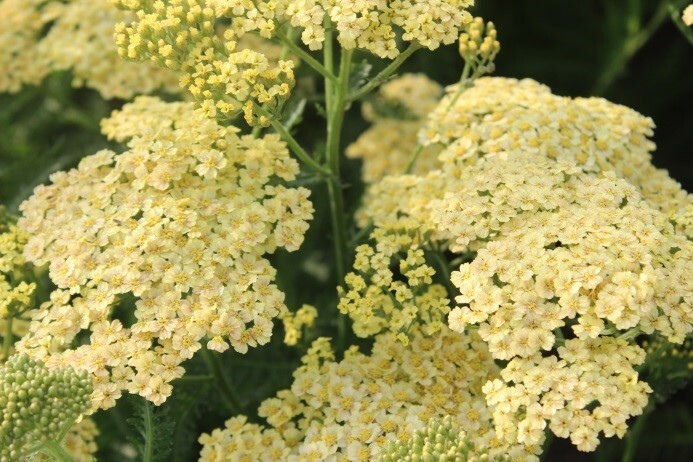 Modern herbal doctors employ it to treat fevers, amenorrhea, and diarrhoea. 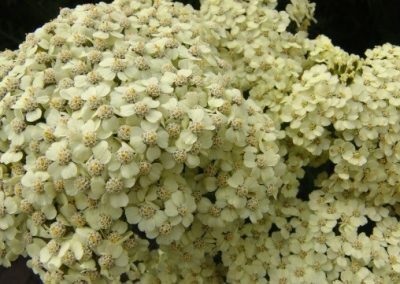 Plenty of legends on ‘Yarrow’ are known. 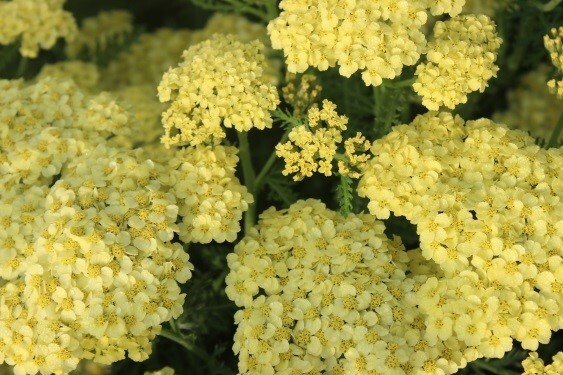 Achillea millefolium was considered a beneficial medicinal herb among the Chinese. 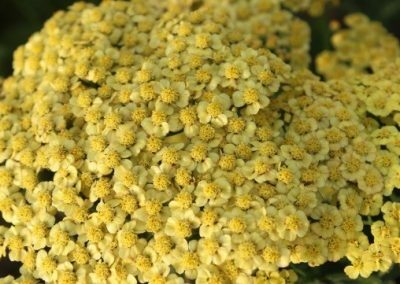 It was said to be useful in improving respiration, skin, and muscle tone and if taken for a long while was believed to increase intelligence. 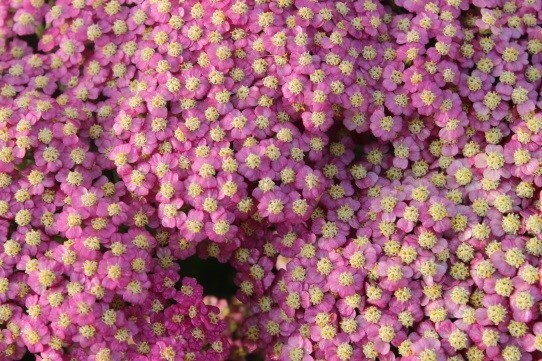 The plants also are less invasive. 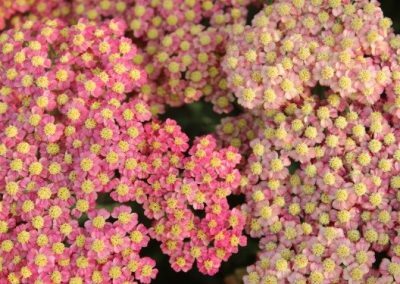 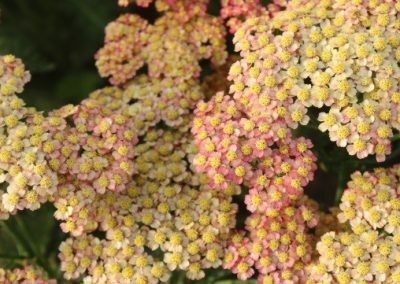 The new Achillea millefolium ‘RAINBOW’™ Series is remarkable durable, tolerating dry spells and low soil fertility where other perennials would fade. 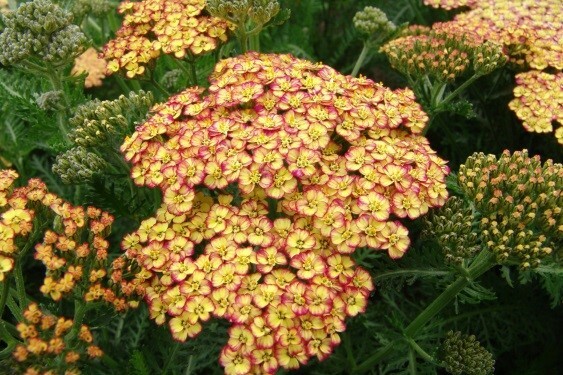 The new Series are easy care, re-blooming, low maintenance plants and versatile in the perennial border at home or in public gardens and parks. 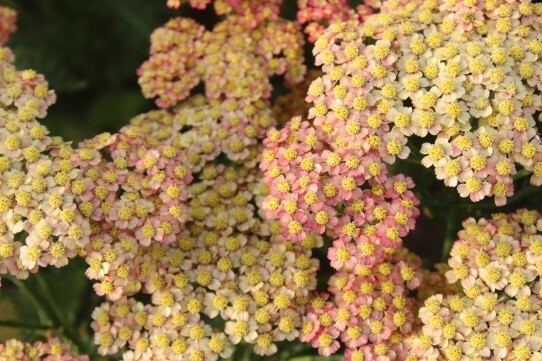 It are excellent cut flowers and perfect for drying and preserving.